American Honda Motor Co. chose piXvfm to write and produce The Service Advisor's Job for the Honda and Acura Interactive Networks. 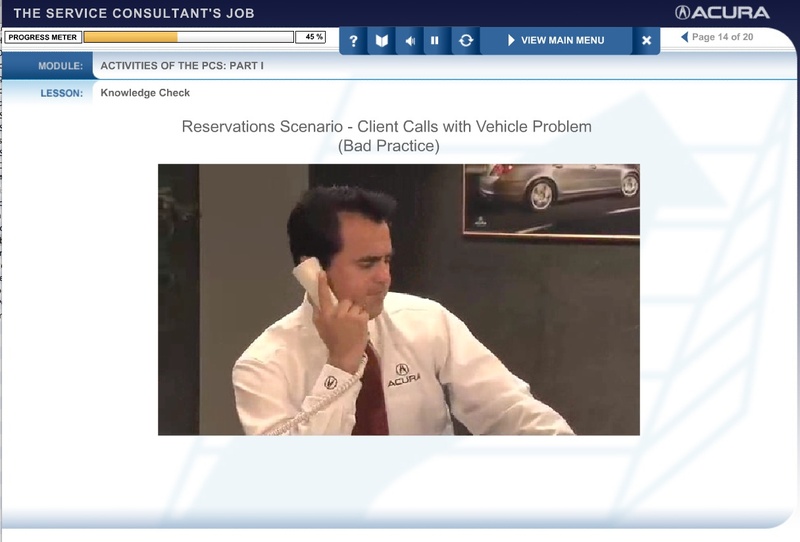 This 60-minute e-learning program combined video with still photography to convey basic skills and responsibilities of the job to Honda Service Advisors and Acura Service Consultants in dealerships nationwide. 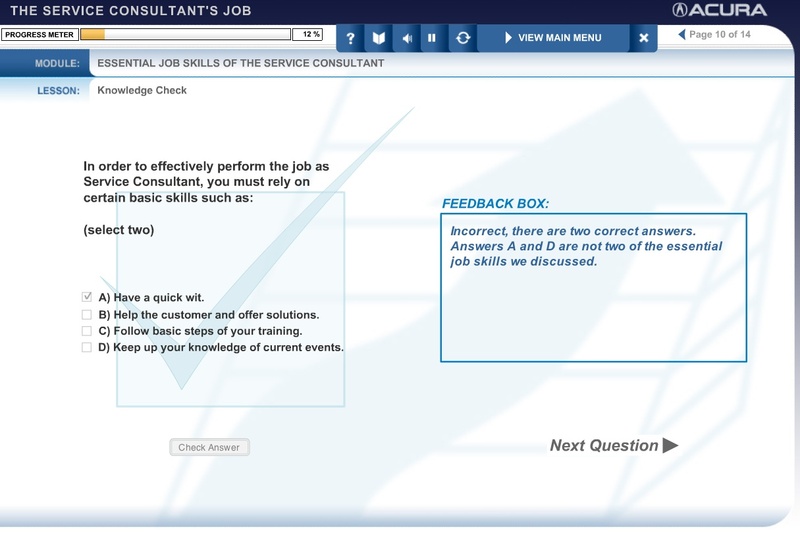 piXvfm mixed lessons with entertaining ‘real world' video scenarios in four key service transaction steps to reinforce learning of the most essential job skills. Learners watch ‘bad practice' scenarios and answer a series of questions before viewing ‘best practice' videos to reinforce lessons. Honda LMS-integrated bookmarking functionality allows students to stop and resume the program as needed. .piXvfm produced two versions of the course to cater to Honda- and Acura-specific branding and messaging.